There were thousands of players attracted by thousands of slots in the 2018 but there were some clear winners in popularity. Some players stayed long hours on certain slots, and some of them returned to same online slots more often than others. We have carefully analysed our statistics and lined up the most popular games according to their popularity. This list could give our players an insight into what kind of features are more popular in the gaming world while getting some recommendations as to what slots would be more rewarding. We invite you to add these games into the mix and let us know how you like them so that your opinion would count in our next Top 5 rankings. 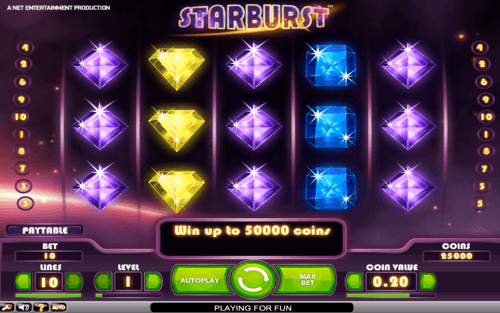 Colourful precious stones turned into beautifully animated symbols are what you would find in Starburst slot. The above-average graphics may be the reason you are initially attracted to the game but the rewards will definitely keep you playing it more. A minimum bet of £0.10 and a maximum bet of £100 are the top and bottom limits but the 10 paylines will make sure that when you win it will be big. There are Respins as a Bonus feature but why not spin the reels just to enjoy the gems floating in the distant magical galaxy? Our records show that players have returned to the Starburst Slot more, and spent more time playing it, winning it a place in the Top Slot Games of 2018. Built on the reputation of Fluffy Favourites, this game too has lived up to that same standards as we can see from the reaction of the players. The same 5 reels and 25 paylines at a volatility of 95.3% is what is offered basically, but the difference is in its massive up to 400 Free Spins with a 3x multiplier. The Coin Pusher Feature comes with up to 100x multiplier when you land 3 or more Scatters. With all that attractive features there is no wonder the Fluffy Too slot game made it to the Top 5 Slots of 2018. 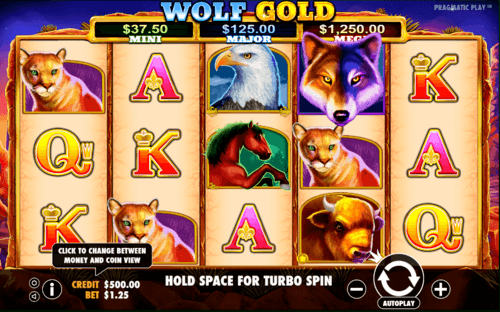 Wolf Gold UK slot brings you the wildlife of North America, the Wolf Gold slot machine has an RTP of 96%. Under the burning sun over the Monument Valley you will find the Blazing Reels, Stacked Wilds, and Money Respins fascinating. The Free Spins incorporates a Colossal Reel feature to reward you better, while the Money Respins are played with a full moon symbol which would keep on making you a winner. If you are lucky enough, you will win the Mega Jackpot at the end of this session. Has the Fluffy series conquered the video slots world? It certainly looks so, and with reasons. This game has the same 95.3% of volatility, and the structure is again 5 reels and 25 paylines. But the Big Top Tent Prize Pick is a new feature that makes the difference. This Bonus Round comes with a maximum multiplier of 100x to reward you more. Fluffy Favourites Fairground slot also offers a generous 25 Free Spins to give you yet another chance to win big. It won a place in the Top Slot Games of 2018 based on our statistics. Who would have thought that a slot machine about kiddie’s toys would make it to the list of Top Games? Fluffy Favourites did. A 5 reel 25 payline slot machine with an average RTP of 95. 3%, this game comes with your much loved Gamble Feature. There are up to 25 Free Spins in addition to the Toy Box Feature that comes with multipliers of up to 100x. The bonus features may have attracted players to the Fluffy Favourites slot game but the entertainment alone would be reason enough for anyone to check it out.